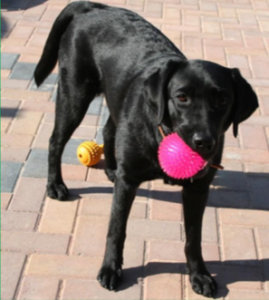 Pup-dates: Mavis is ten months old! For the past ten months, AKA Case Management has been sponsoring a dog from the charity, Dogs for Good. 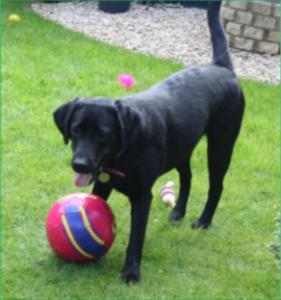 “Mavis is growing into a very good looking girl; she is an affectionate, inquisitive and fun company. As she matures her behaviour both in the house and when out and about continues to improve, despite a few “teenage moments” every now and then. She is the friendliest dog, very nosy and always wanting to say hello to everyone she meets. practiced basic obedience, using signals and body language as opposed to verbal commands, recall when we are out of sight of the puppy, loose lead walking, using a lead attached around our waists and the use of the wait and stay commands. In class we also introduce the puppies to lots of different items: hairdryers, umbrellas, stethoscopes, children’s push toys, prams, crutches and hats to name just a few. We’ve used some basic agility equipment such as tunnels and very low poles just off the floor. Regular one to one visits or group meetings are organised by Puppy Coordinator Vicki, to ensure Mavis is developing appropriately and Marilyn is transferring their training to the places Mavis may visit as a working dog. These visits provide tailored support to Marilyn, to ensure Mavis reaches her full potential. “Mavis basically likes doing anything and everything; she’s always up for a walk or trip to the supermarket, the more interesting the better. Her response to basic commands is excellent. We enjoyed taking Mavis on holiday recently. She loved the long coastal walks, trips into the local town and lots of swimming and digging on the beach. It was lovely to watch her having fun and we had a very tired but content puppy at the end of each day. Mavis loves her food and her favourite treat has to be chicken. She is very gentle taking all treats, except for chicken, for which she would take your hand off! We’ll be back with Mavis’ progress when she is 14 months old.